In honor of May the Fourth, Star Wars Day, let’s take the best short-notice gander at the Force’s initial impact on Auburn we can. 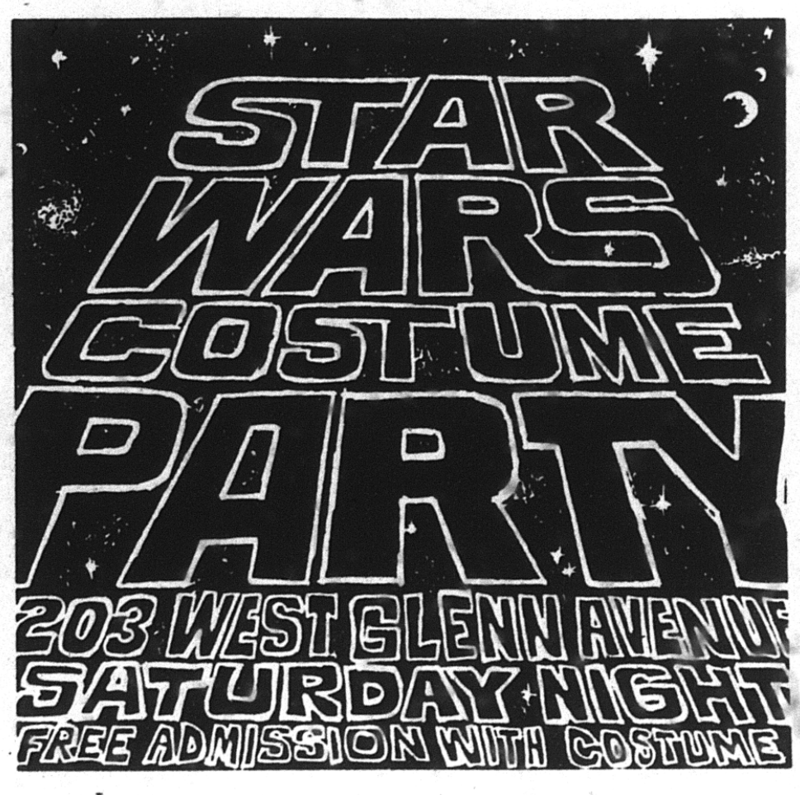 Star Wars got to Auburn a few weeks late, of course, but once it arrived it stayed, held over, a costume party-level hit–even with The Plainsman. 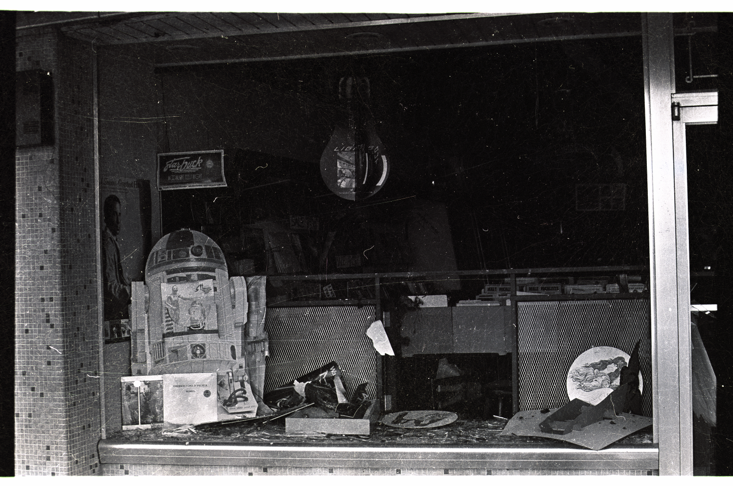 And–true story–R2D2 was the only droid to survive the Kopper Kettle explosion. May the microfiche be with us. Always. Related: “Psycho” comes to Auburn. Thanks. 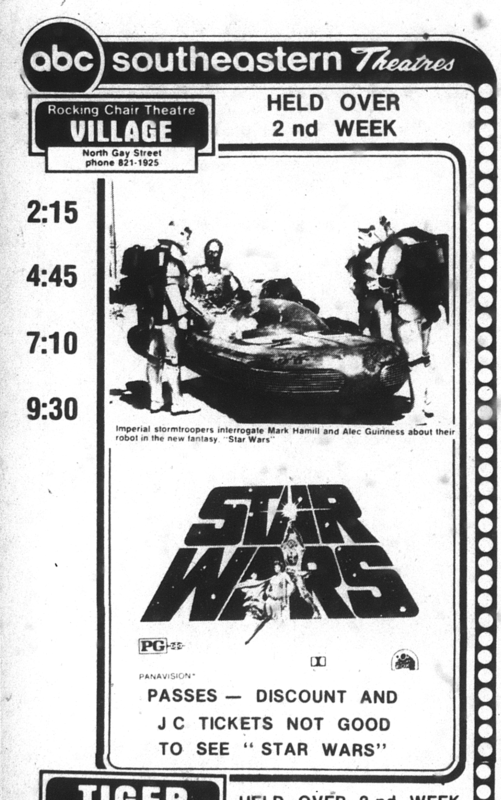 I will always remember seeing Star Wars right there when I was 6 years old. What a mind-blowing movie experience! I camped out all day for tickets to the first Star Wars prequel my last summer in Auburn. It was the first movie to open at the new Wynnsong 16 theater, which a the time was as highly anticipated in town as the movie itself. The midnight show sold out in about 10 minutes after they let VIPs buy up all the tickets. They added a 2:30 AM screening to appease the exhausted, sun-burned and near-rioting crowd. 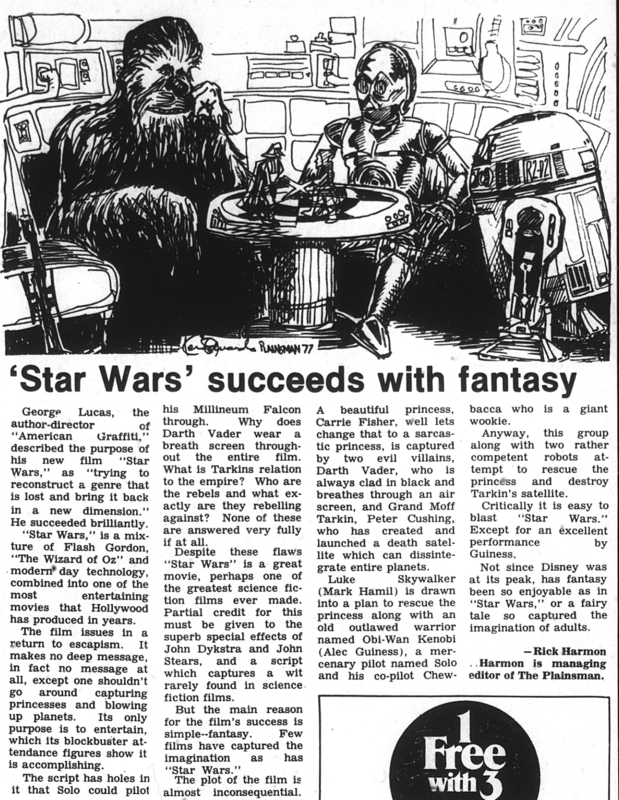 I could hardly stay awake for the movie despite the fact I was a Star Wars nerd from way back. The experience that day ended up being more memorable than the movie. At least I got to see some good flicks in that theater before I left and didn’t have to drive to Columbus or Montgomery to do so. I remember one of my friends telling me about this great movie he had seen at Village Theater and talking me into going to see it with him the next day.